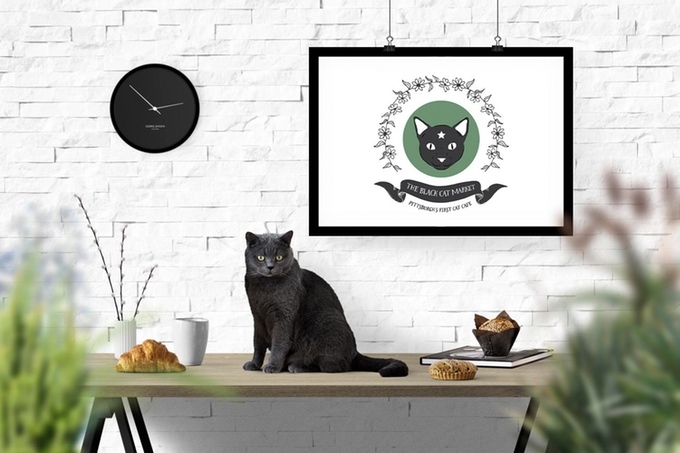 This spring, locals Olivia Ciotoli and Indigo Baloch joined forces to combine their passions for coffee, furry friends and all things Pittsburgh; and come later this year, the pals plan to launch our city’s first-ever Cat Cafe. Originating in Japan, cat cafes allow visitors to stop by, sip coffee and enjoy the company of cute kittens. The concept is becoming increasingly popular throughout the States, and the girls hope to engage our city’s residents with a similar vibe and feel. Slated to open this fall, PGH’s Black Cat Market will be divided into two units–one space to chat and chow down on baked goods and beverages, and another space for customers to visit the cat colony. Here, guests are invited to kick back on the comfy furniture, socialize with cats and kittens, or even take one home! 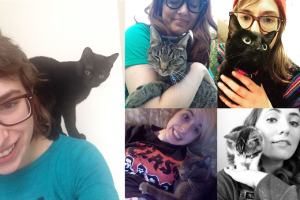 All cats will be fully adoptable via Pittsburgh’s Animal Rescue League onsite. Additionally, the local nonprofit will assist the girls with cat colony room design and adoption services. 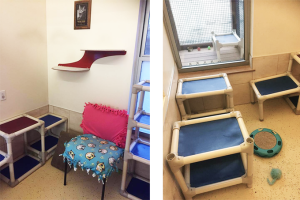 In addition to a full-service cafe and adoption center, the ladies hope to grow the business and develop upon concepts like pet therapy and therapeutic recreation. In addition, the duo’s linked up with a handful of local organizations for future community benefits at Black Cat Market. The Black Cat Market Kickstarter is open for donations until May 31–be sure to peep the preview vid for what’s in store below; and consider donating for a chance to get your paws on some sweet perks.